sailboat. : Glossybox: June 2014 Edition. There was no little product card inside my Glossybox* this month so I'm not entirely sure what the theme is, but I think this is probably the best box they've put together this year so far. I'm not wowed like I was with Birchbox this month, but to be fair I think that box would be pretty difficult to top. 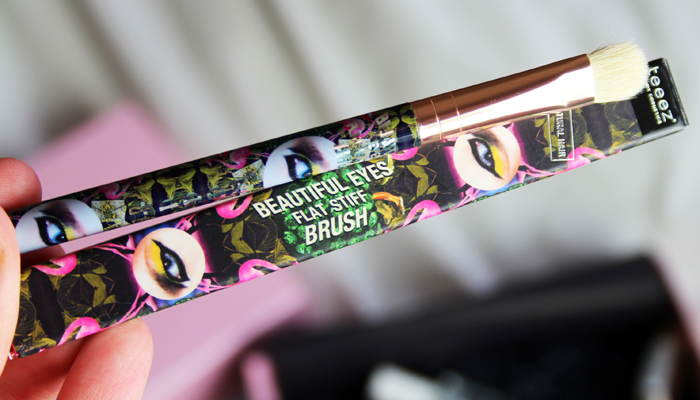 Eyeshadow brushes always come in handy and although I really dislike the design on the handle of this one by Teeez, it's certainly one that I'll always be able to find. A base and top coat is something that always comes in handy as well. I'm trying to overcome my nail biting habit so I've slapped some glitter polish over my sad looking nails in the hope it'll help. I've put some of the Nail Girls top coat over the top of the glitter and so far so good. Not a particularly exciting product, but one that will see a lot of use I'm sure. Rituals is a brand that I love to see in beauty boxes because they're so reliable. Their products always smell beautiful and they really work. Mini sprays are perfect for keeping in handbags during the warmer months and that's what I'll be doing with this. 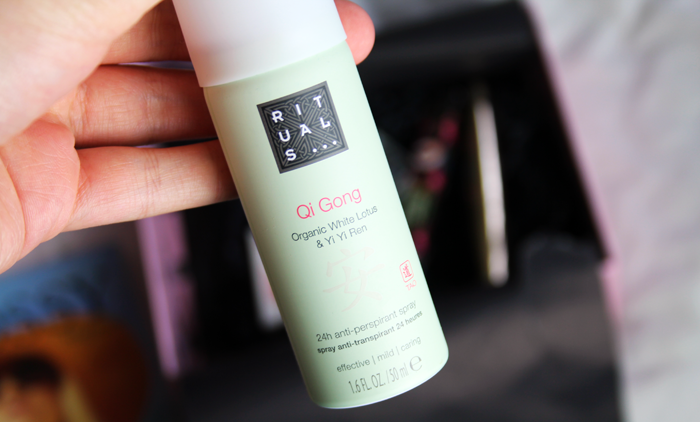 It's actually nice to try an antiperspirant that's not my usual Dove or Sure and this Qi Gong scent is gorgeous. 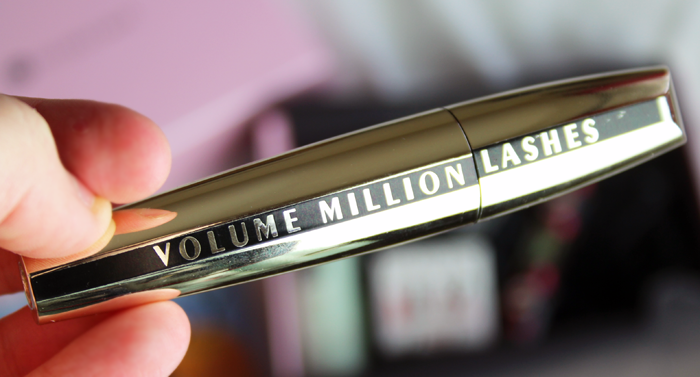 A couple of days ago I cleared out my mascara drawer so the L'Oreal Volume Million Lashes couldn't have arrived at a more perfect time. I've never tried it before, in fact it's been a really long time since I tried a L'Oreal mascara in general. Maybe I've never tried one? I'm not sure. I'm not particularly fussy when it comes to mascaras, so as long as it doesn't sting my eyes or leave me looking like a panda I'm sure we'll get on okay. 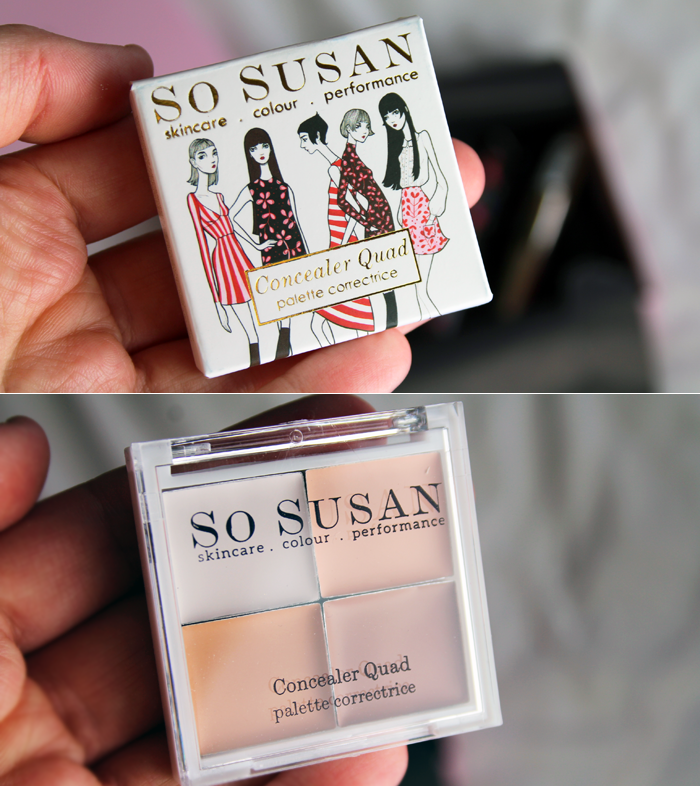 Finally is the So Susan Concealer Quad. I believe every box will contain either this or the Universal Blush. So Susan sent me a few products from their range a couple of weeks ago and the concealer quad was one of them. Unfortunately I find all of the colours to be a little dry and they don't blend well at all on my skin. I love the idea of it, but it's not one that works for me & my skin type. If you're subscribed and you get the blush though, I think you might like that. It's a lovely colour that's really flattering and I've been reaching for it almost daily. Seeing your box is tempting me to order one for myself! I'm using that L'oreal mascara at the moment and it's pretty good. It gives a lot of length in just one sweep but can clump if you keep layering it. I do quite like it though! Not a bad box! I'd love to know your thoughts on the mascara once you've tried it. I sometimes regret not being subscribed to Glossybox and Birchbox anymore, and this box seems like it has such an interesting selection of products that I do kind of wish I had ordered one! It's such a shame about the Oh Susan concealer, it seems like a very interesting product, conceptually. oh shame the concealer quad is a bit dry, as it looks like it would be really handy! I loved my Glossybox this month, but I got this beautiful perfume in mine, did you hear about it? Japanese designer I think? I love it so much, I wish I could afford to replace it when it runs out but its like £39-49. 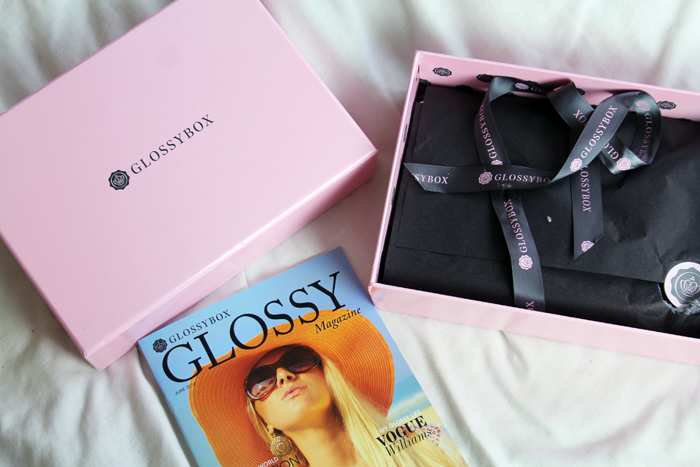 Fab Glossybox :) I love your blog and I have started following you with Bloglovin and GFC. If you ever get a chance to check out my blog I would be delighted, thanks! I have never tried one of these beauty boxes before, would you recommend them? The concealer sounds like a great product in theory, shame it didn't work so well!